If you want a straighter, brighter smile, whether it is for a big day, to be picture perfect or it’s simply something you’ve always wanted to improve then we have the orthodontic treatments for you. At Quayside Dental we offer various types of aesthetic braces to help you achieve an attractive smile, making you feel happier and more confident in yourself! A series of clear removable positioners designed to straighten your front 6-8 teeth. It is practically invisible being transparent and smooth without brackets or metal components. 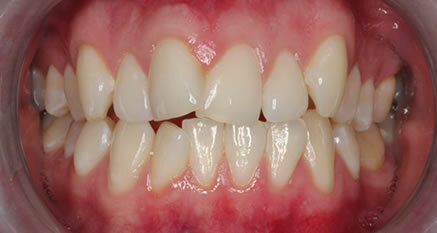 It can straighten teeth that are crowded, rotated, tilted forward or backwards. Depending on the position of your natural teeth Clearsmile may take more or less time to have the desired effect, usually treatment is completed in 3-12 months. These positioners are replaced weekly. 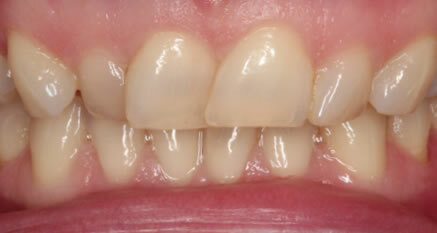 A simple orthodontic appliance that is used to straighten crooked or misaligned front 6 teeth. 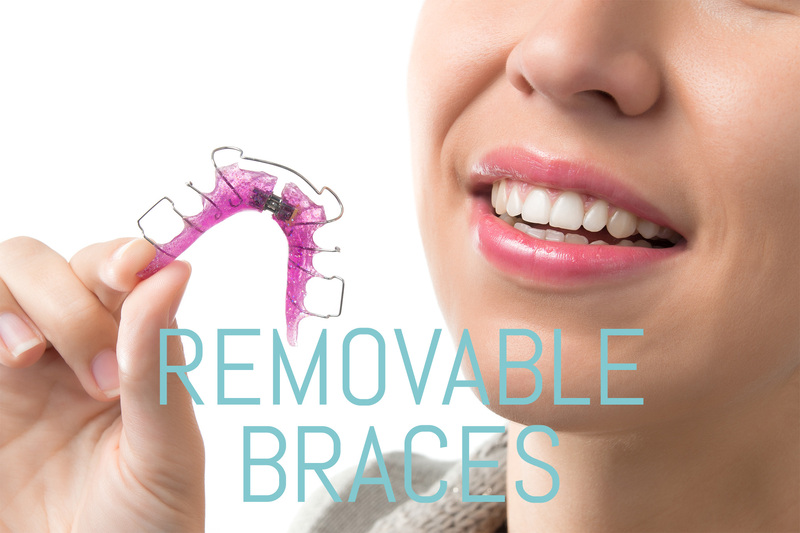 Achieves rapid tooth straightening in one removable brace, so there is no need to change aligners every week. It is recommended that you wear the appliance for a minimum of 16 to 20 hours a day. 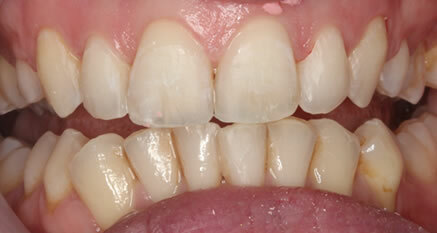 The longer you wear the Aligner the quicker the results. The duration of treatment is typically 8-16 weeks. A highly aesthetic fixed brace with transparent brackets and tooth coloured wires. Achieves a wide range of tooth movement and alignment. Typically takes 6 months for treatment but may range from 3-9 months. 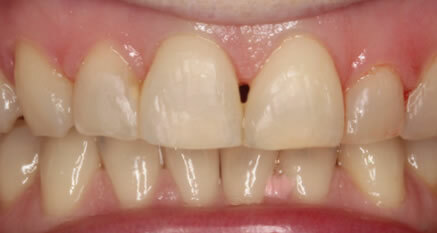 For minimal cases please contact the surgery today for an appointment to discuss alternative removable appliances. Are you unhappy with your smile? 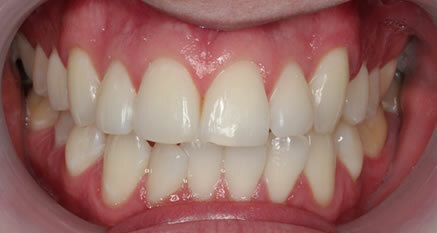 Would you like straighter teeth but are concerned about how you will look with braces? At Quayside Dental we offer various types of aesthetic braces to help you achieve an attractive smile, making you feel happier and more confident in yourself! Book your initial consultation with Mary today for just £40. New to Quayside Dental, the revolutionary Six Month Smiles, a modern Orthodontic system which enables patients to achieve the smile they've always wanted in just six short months. Six Month Smiles combines proven orthodontic techniques and modern materials to provide lighter, finer tooth coloured brackets and wires that gently straighten and align teeth in an average time of six months. This new era in Orthodontics has taken the US by storm, giving many patients who were otherwise put off by the lengthy process of old fashioned bulky metal braces another option. This is a common sense, cosmetic solution that fits into your lifestyle to make crooked, misaligned or spaced teeth something of the past. Will I be suitable for Adult Braces? Why not ask at reception for an Orthodontic consultation to find out which option of treatment is best for you? 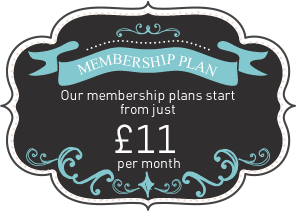 This initial consultation costs just £40. Will I look like I am wearing a brace? Although they are not completely invisible like some other types of brace (e.g. Clearstep) they are extremely discrete, such that from a distance one won't be able to tell that you are wearing them. By focusing on moving the teeth that show when you smile without making significant changes to your bite, we can safely and relatively comfortably transform your smile in just six months, meaning you can prepare for a dream wedding, get ready for an important interview or simply boost your confidence by getting an incredible looking smile. 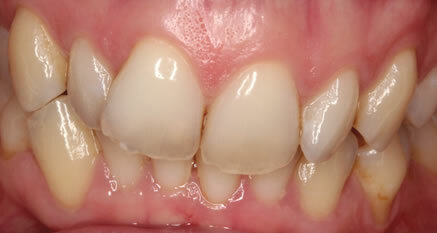 The most advantageous aspect of the braces is the short treatment time. Average treatment times of only six months reduce treatment time by 75%. 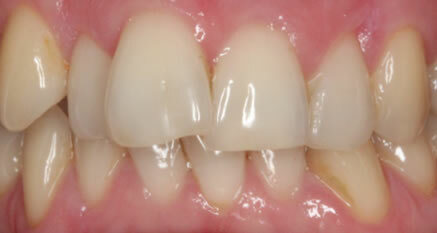 Six Month Smiles clear brackets and tooth-coloured wires are barely visible and discrete. 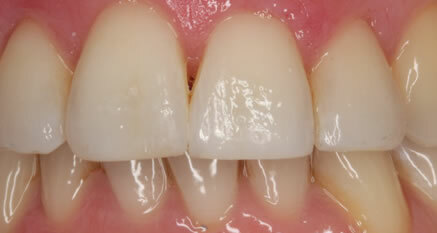 Discomfort is minimal as low forces gently reposition teeth. I am not a lover of dentists as are quite a number of people, I know from the moment I entered Quayside I had made the right decision. The welcoming staff, so friendly and helpful and Peter who gave me loads of support and re-assurance. I have never felt better. I have grown in confidence and my self –esteem has been boosted. At the age of 62 I feel absolutely fantastic about my teeth now and would recommend Quayside Dental to anyone, I wish I had done it sooner! For years I tolerated dentures falling out every time I had something to eat, having to remove them and put them in my bag rather suffer the embarrassment of people seeing them fall out of my mouth. I can smile now because I am not conscious of people knowing I’ve got false teeth. I am extremely happy with my new teeth and would not hesitate in recommending Quayside, I felt very comfortable every time I visited the surgery by a team who were always courteous and friendly. No more embarrassing episodes with plates moving and breaking. I can eat apples whilst walking, with no knife required to slice it up first. There was a bit of pain and some discomfort but not anywhere near as much as I expected. Local anaesthetic and follow up painkillers were adequate to deal with this and I never needed to take more than a day out of work at any stage. I think it was money well spent and I wish I could have done this year ago. I had problem teeth and an awkward bite, a friend recommended Peter at Quayside Dental to me to see if he could help. Peter provided an excellent consultation in which I was able to say that I wanted as natural look as possible. As you can see I am more than pleased with the results and I am now smiling more than I ever did in my life and enjoying it ! I am no longer self conscious of my teeth when talking, smiling and laughing. I can whole heartedly recommend Peter and his team at Quayside! Have a look through our brochures for more information on our populat treatments.